Using our deep scientific knowledge and extensive analytical understanding of the Brain/Body System, we developed a Behavioral Code for High Performance that Neurozone® Certified Coaches globally use in customized solutions with individuals, teams and organizations to develop resilience and other capacities essential for high performance. 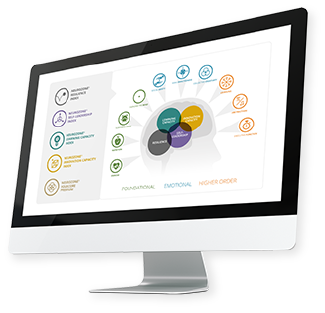 While our neuroscience and analytical experts continue to refine The Behavioral Code, we equip existing coaches with ground-breaking knowledge and insights through our short online course leading to Neurozone® certification. Certified coaches use our customized solutions with their clients for leadership development, executive wellness, team efficacy and employee wellbeing. We also provide our solutions directly to clients with relevant needs.